Never miss the action on live TV. 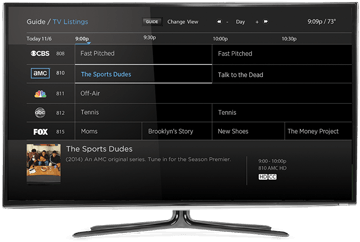 The Contour 2 On-Screen Program Guide makes it easy to find movies and TV shows airing right now. To access the grid guide and see what's live on TV now and what's upcoming in the next 14 days, press the Guide button on the remote control. Use the Arrows to highlight a program and press the Info button. Use the Arrows to choose Watch, Episodes, Record, Other Times, or Series/Movie Info, then press the OK button. To return to the TV Listings instead, press the Up Arrow. The Contour 2 Guide allows you to filter your guide view to display only the types of channels you would like to see. Here’s how to select a guide view. 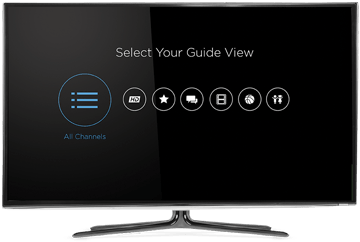 On the remote, press the Guide button twice to access the Select Your Guide View window. Here you can filter your guide by your preferred set of channels. Use the Arrow buttons to select a program and press OK. 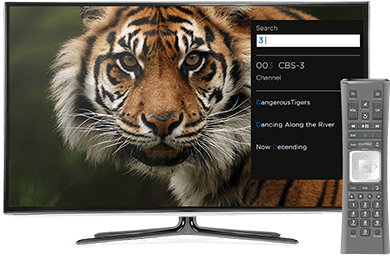 The Voice Remote also makes accessibility even easier by responding to commands like “Turn on closed captioning.” The Voice Remote is the coolest new feature to enhance your entertainment experience. 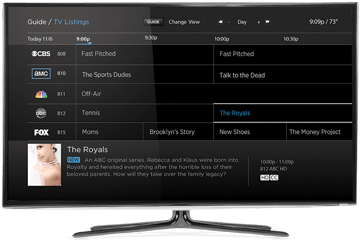 Use your remote to search from any menu or while watching TV. Use the numbers on your remote that correspond to the letters on each button. The Contour 2 predicts what you are looking for based on your inputs, so you can get instant results with the entry of just a few characters. You can also find and tune to a channel by typing in the channel name. Here’s how to search Contour 2’s on-screen guide using the search bar at the top of the Search menu. Press the Contour button on the remote. Use the Arrow buttons to navigate to Search and press OK to choose the letter. As you choose characters, they appear at the top of the screen and the search will begin to suggest titles that match your entry so far. Use the Down Arrow button to highlight a search result and press OK.
Press the Last button to go back to the search result list. Press Exit to leave the Search screen. Learn to master your Contour 2 remote control, discover tricks and tips like Voice Control, & view the button guide.